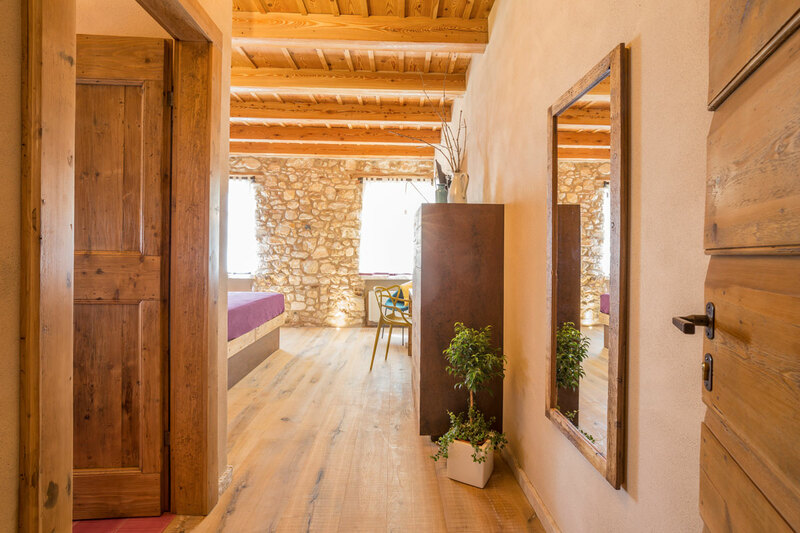 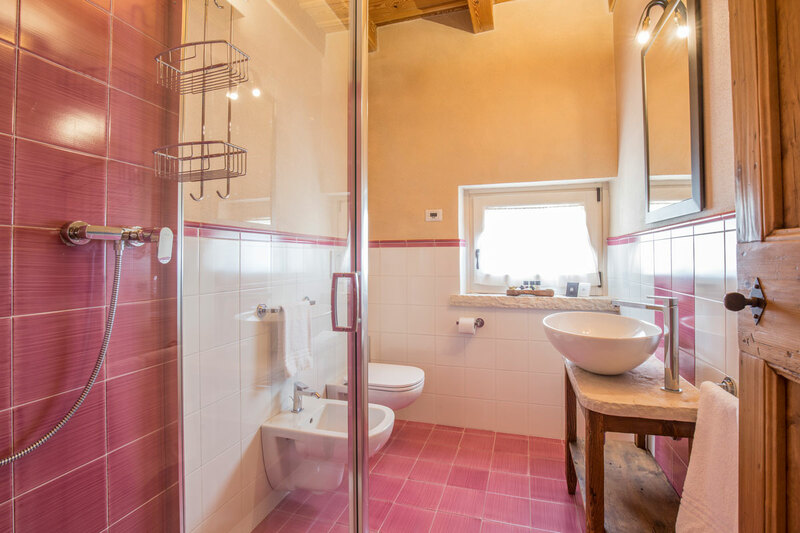 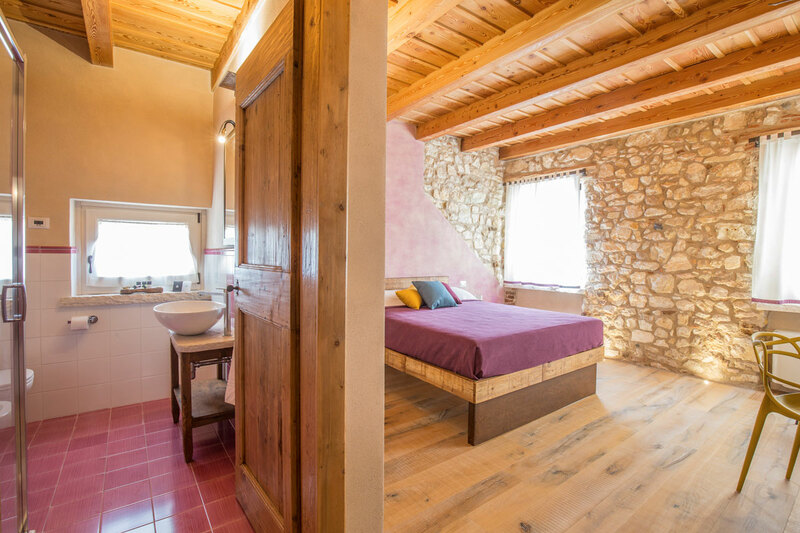 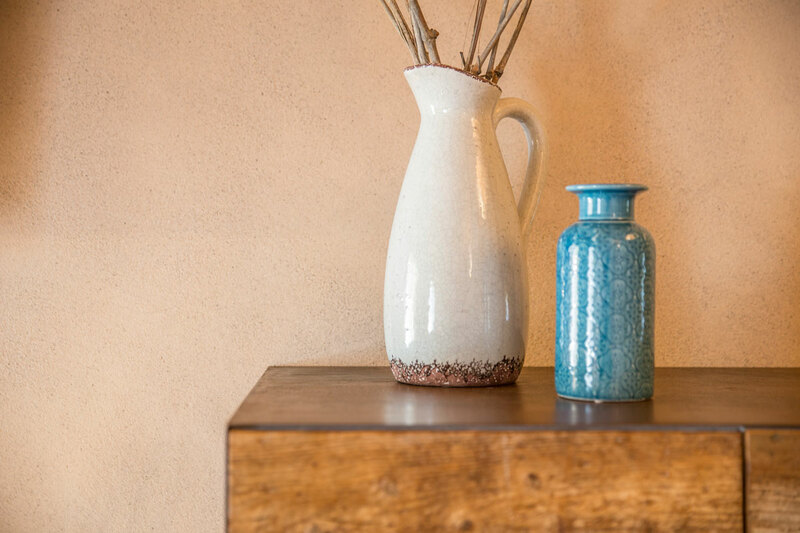 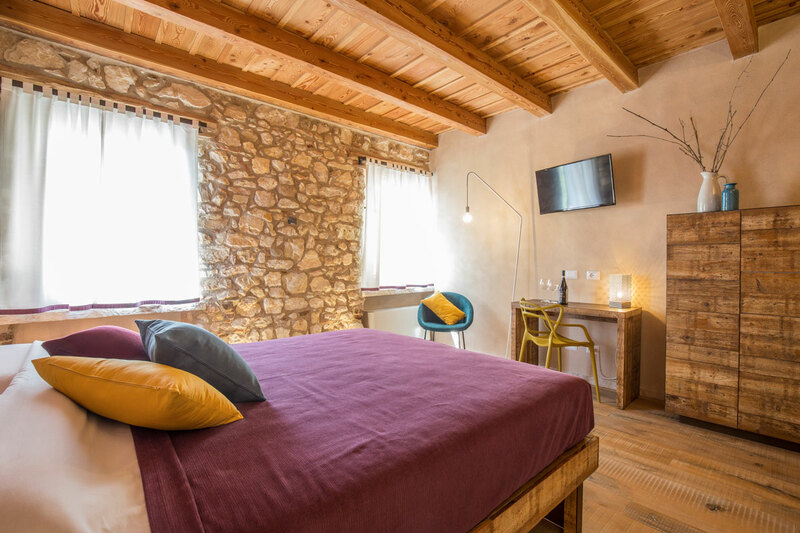 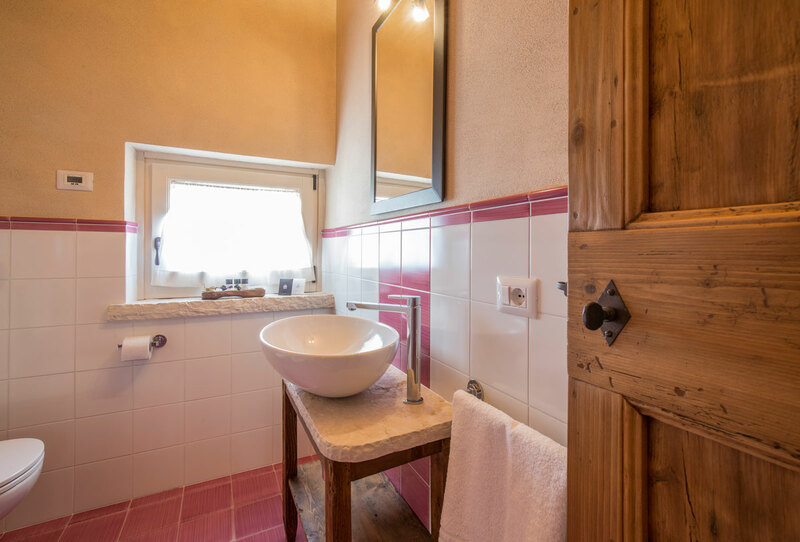 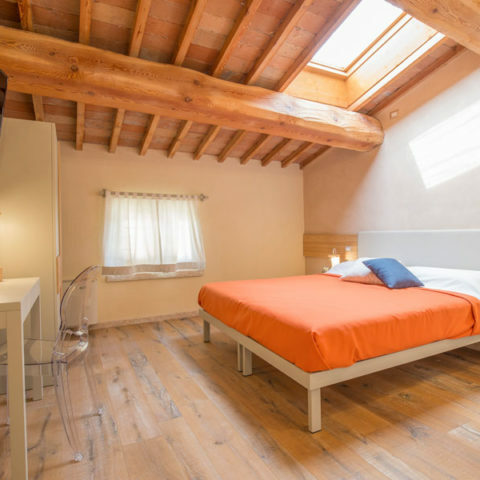 La Vigna is a double bedroom with private bathroom. 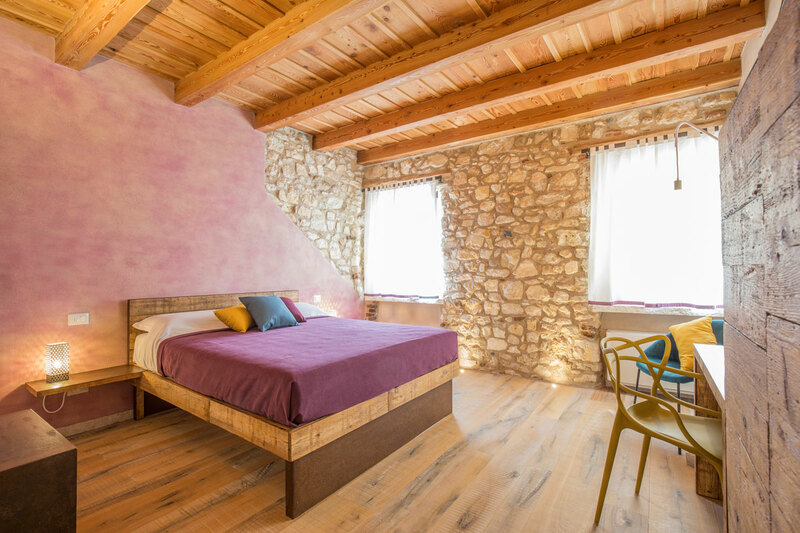 It is a spacious and bright room with a panoramic view of the countryside and the Valpolicella, characterized by a modern and original custom made furniture. 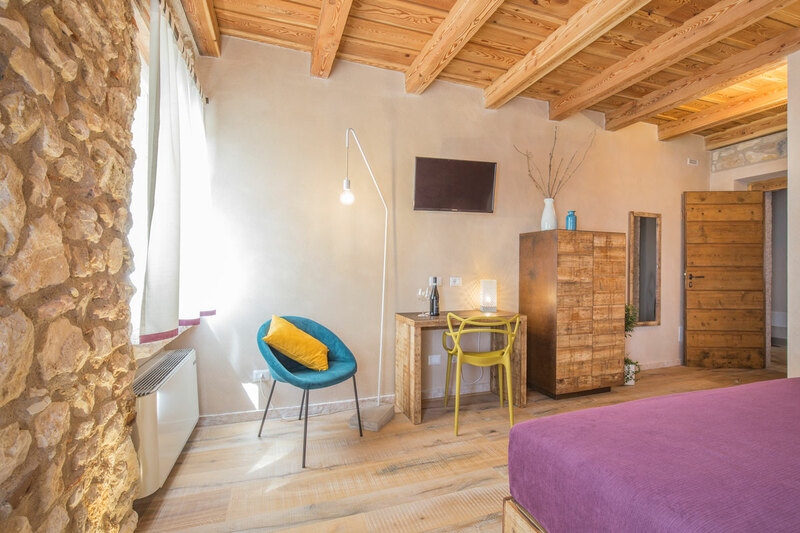 The wood and steel corten used for the furniture were also taken up in the realization of the chandeliers on the wall. 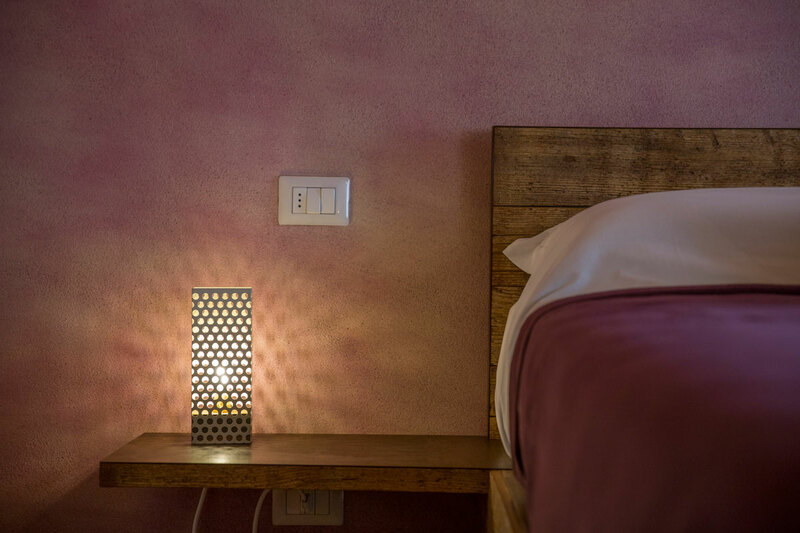 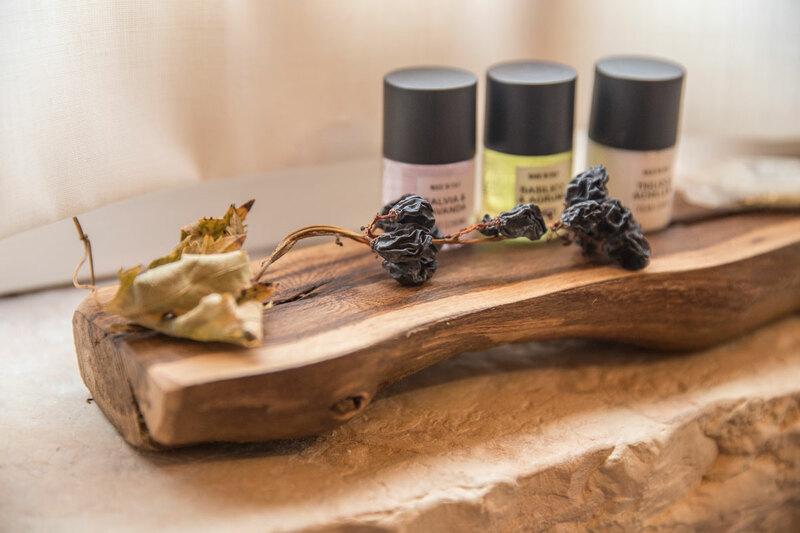 Finally, the choice of some avio-mustard and mustard-type accessories adds extra character to the room.